Over the last three decades, growing international recognition of the right of students with a disability to attend their local school has prompted change in the formation of education policies, schooling structures and pedagogical practice. Inclusion, as the movement became known, has since been taken up and developed to different degrees in different regions and to differing degrees of success. Yet, despite sincere attempts to better include students with physical, sensory and intellectual disabilities, new and different forms of exclusion have arisen since the late 1990s; particularly for students with social, emotional and/or behavioural difficulties. 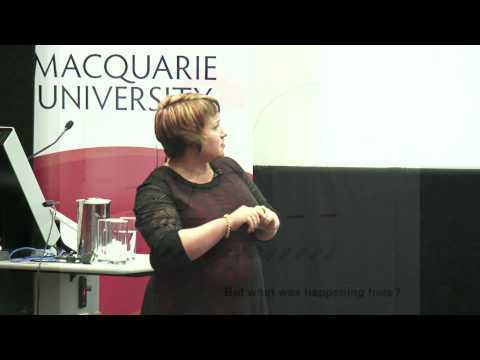 In this lecture, Dr Graham reports on findings from a 3 year ARC Discovery project to consider the impact of inclusion on the New South Wales government schooling sector. Barriers to meaningful access and participation for students who experience difficulty in schools and with learning will be discussed to highlight areas for strategic policy intervention. Dr Linda Graham is an ARC Discovery Postdoctoral Research Fellow and Senior Lecturer in the School of Education at Macquarie University. Linda’s work focuses on the role that education policy plays in the increased identification of special educational needs. Her research findings have challenged claims that identification growth is due to an overall increase in the incidence of disability, and have illustrated how increased identification can work against students with a disability by reducing the funding pool and increasing stigma. Her research has significant implications for education policy and for the support of students in schools internationally, as evidenced by invitations to present this research and to advise government departments across Australia and overseas. Dr Linda Graham was the 2011 recipient of the Academy of the Social Sciences in Australia Paul Bourke award for Early Career Research. The award honours the late Professor Paul Bourke (1938-1999), a past president of the Academy.